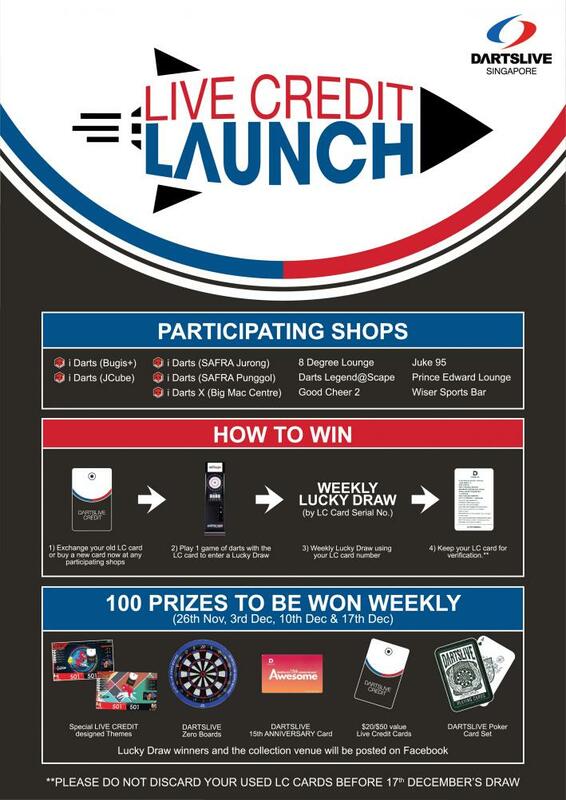 It's been an exciting November so far, with the onset of the DARTSLIVE App and LIVE CREDIT system upgrade, among the various big events happening. We've talked about the App changes; now it's time to get everyone up to speed on the LIVE CREDIT LAUNCH campaign! 1. Purchase a new LC card OR exchange your old one at any participating shops (list below). 3. Play more games to gain more chances at winning! IMPORTANT: Players are advised to keep ALL new LC cards purchased for verification purposes during the LC campaign.